LifeSpan treadmills revolutionise the offices and are a part of modern working places. Working in standing position has been an alternative for the office chair since a long time. 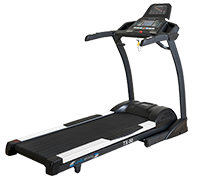 LifeSpan treadmills extend the range of a pleasant walk. At low speed, you move on the treadmill and can work at the adjustable desks. 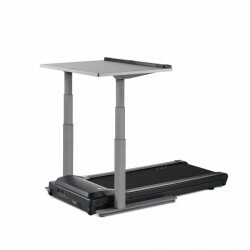 The desk treadmill LifeSpan TR1200 DT7 is equipped with an electronically height adjustable work surface, which is made of very loadable composite material. The perfect solution for the mobile office and against back pain due to lack of movement. 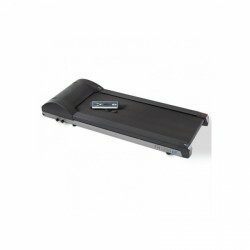 Your office keeps running with the LifeSpan desktop treadmill DT5 TR1200. 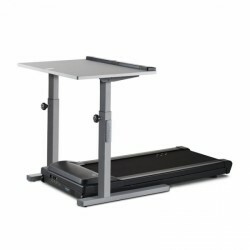 The highly praised treadmill with height adjustable desk makes the office a mobile one!